BOOKSTORES ARE ASKING FOR MY BOOKS! MY BOOKS ARE DISTRIBUTED VIA CREATESPACE AND ARE NON-RETURNABLE! But I did what Hugh Howey said to do! He published all his books through CreateSpace before he hit it big. He even got free CreateSpace ISBNs for all of them! Well, yeah, but after he did hit it big, his giant traditional publisher took care of the extended distribution. Actually, I don't know. I'd have to ask Hugh. I'm assuming it did. 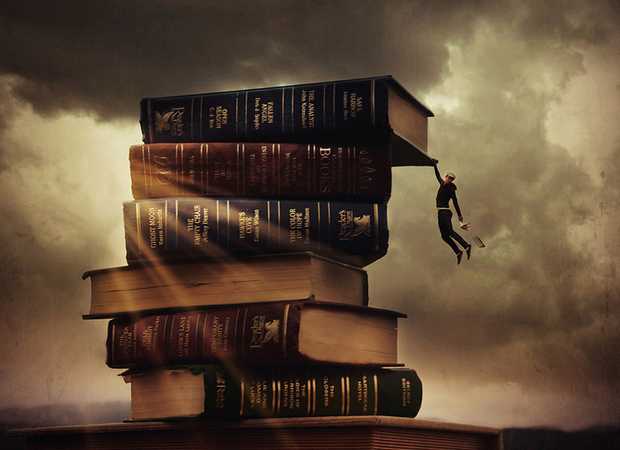 Now, before I confuse you any more, let me explain to you the hurdle I'm up against, what I did, what I will do, and what I suggest you do, if you're wading out into the self-publishing world for the first time and want your books to be available in bookstores and libraries. Right. To continue from the 1st part of this post, on the first 5 circles of Hell of self-publishing, and to borrow from Dante's Inferno analogy once more, here come the second 4 circles of Hell, and I have switched them around a little. Why? Because while prepping the post, I have stumbled across this huge issue that needed its own circle, namely, pricing. How to price your book? This is a whole can of worms, so I will bundle distributing into one circle, and pricing into another. Ready? Here we go. WARNING: As I already warned you in the first part of this post, before you read any further, know that I only published 4 books so far. There are bigger more experienced people out there who know better. Okay, now you know, continue reading at your own risk. Interior files. You can only submit a PDF interior file for publishing, according to their specifications. Once you do this, however, you will have to wait 24 hours for approval, even if you want to change only 1 word. Worse, when their approval comes back, it will usually have found a few errors that you will have to correct and resubmit, only to wait another 24 hours. However, typically, they turn it around faster. Beware, when you receive a printed copy, it might want to tweak a few minor things, to make it perfect! Add another week of waiting. Cover files. You can only submit a PDF file for your book cover, if you are using your own. Or, you can use their Cover Creator, and then upload a JPEG of the cover if you choose a template that has an image spread across the entire cover. I had no luck with it, and I recommend to do a PDF yourself according to their template (make sure your number of pages is correct for correct spine width!). The trick here is, even though you can look at their digital proofing software thingy and see how your book looks, I recommend to order a printed proof to make sure your book looks right. Be ready to fork out money and wait. It cost me $5 for the proof, and $15 for expedited shipping, and still it took 4 days. Yeah. And it will take me 2 weeks to get the first batch of 20 books I ordered to sell on my site as signed copies. Kindle files. CreateSpace, if you choose to publish through KDP, will automatically convert your files to ebooks, but they recommend to upload your own. I uploaded my own, and after several passes by 3 people, they still found 3 typos that needed to be fixed. And, of course, every time you make a little change, you have to wait... *drumroll* ...24 hours for approval. Even if you decide to change a category for your book, still, it takes 24 hours, so be very careful doing everything right the first time. And, on top of it, your fonts might look funny due to what their automated system picks out for display. Read this post on picking out fonts for your book. Takeaway: printing your books takes time, so be aware of it before you make big announcement plans. I had to shift mine 3 times. First book of Siren Suicides, I Chose to Die, is 266 pages. Amazon prices books according to their length, so for whatever reason it told me that the cheapest I can price it at would be $6.74. Okay, I clicked on that price. People asked me to make my books available in many other countries, UK in particular, so I selected that option. Guess what, suddenly I couldn't price it at $6.74, it was too low for UK pricing, so I priced it at $7.99 because $7.30 looked weird. So far so good. Yet more people asked me if my books would be available in bookstores and libraries. Okay, I bought extended distribution at $25 per book. Suddenly, I couldn't price my book lower than $10.20 or something in that region. Okay, I thought, and made it a nice round number of $10.99. Now I got to pricing the third book of Siren Suicides, The Afterlife. Guess what, because it's 314 pages, I couldn't price it lower than $11.30! Or something like that. So, in the end, because it would look weird if one book in the series was cheaper than another, I priced all Siren Suicides books at $11.99 each. As of this morning Amazon Prime price is different for all three, and the cheapest of them is the largest, The Afterlife, at $9.66. Go figure, have no idea why. Ebooks are priced all over the place, as I have researched, and I couldn't price them lower than $2.10 or around that, and I like the look of $1.99 better than $2.00, so I priced each book at $2.99, which seems to be a low enough amount to be easily approachable. I have seen more established indie writers sell ebooks for $5.99. Well, maybe one day I will get there. I only know that the psychology still works, people will think that $2.99 is much cheaper than $3.00, thought the difference is next to nothing. I'm selling all 3 Siren Suicides books on my site for $19.99, but I should raise the price because I'm only making $3 per set, counting in shipping costs and such. From my entrepreneurial days I remember the lesson that for any business to be profitable and grow you have to have at least 50% margins. That means I would have to price my 3 book set at $34.99. It seems too high. When I was setting the price for it I borrowed it from 3 book sets that I saw on Amazon (without knowing how much the actual paperbacks will cost), so we shall see. For now I will keep it, because people keep buying it, and it's more important for me to spread the word than to worry about money. I have 2 more weeks of unemployment and enough savings after that to last me another 8 months or so, if I'm careful. Takeaway: if you are an unknown entity like me, go for the cheap. You will be able to command higher prices later. Right now it's more important to spread the word about your work. CreateSpace via Amazon. Duh. I know, I had to mention them for continuity sake. Lulu. They will get your book into iBooks, which is primarily why I use them. Goodreads. Of course! Love them for the updates people can post while reading your work and share them, and post reviews. Plus, you can upload your books (make sure you upload an EPUB file and not PDF - their system cuts it off) and make them available for people to read on the web in their reader, which I did. For free. Scribd. This is a must. J.K. Rowling's books are here, Chuck Palahniuk's books are here, so I am posting mine here too. Kobo Books. This is a new beast I stumbled upon and am giving them a try. They seems to be a fast growing eReading service. We shall see. ReadMill. A bunch of my Beta Readers were reading my drafts and commenting on them via this app, so I added it to my list of distribution. Value unknown. Widbook. This is a collaborative writing site, so I am testing it out for fun. Smashwords. I'm only posting here because I've seen many people do it. Not sure of the benefit, and I'm not a fan of their interface. ReadWave. Great platform for short stories or flash fiction, and I got excellent response here, very active site. I will be posting excerpts here. Authorgraph. People asked me if I could sign their ebooks, that's why I will be uploading my books here. Haven't tried it yet. Bookstores. Okay, this is new for me. I bought extended distribution on Amazon, and my boyfriend's mom happens to own The Book Rack, a book store on Whidbey Island, which might be the first physical store that sells my books. Beyond that, it looks like any bookstore will be able to buy my book in about 6-8 weeks for sale. If any does, remains to be seen. People must want it enough for them to be interested. One more aspect to think about here. Timing. Once you have everything approved everywhere, it's not over. It takes more wait time for your actual books to appear everywhere. They are immediately available on CreateSpace site, but take 24 hours to appear on Amazon as ebooks, 5 to 7 days for paperbacks (so they say, only took 1 day for me), and 6 to 8 weeks on expanded distribution channels. Oh, and it takes 3 t 5 days for them to link your ebook to your paperback. You can see that my books are still not linked after I published them yesterday. Takeaway: distribute your books everywhere you can! The more, the better. The bigger chance of discovery you will get. Circle 9. Marketing. Oh, this is one of my favorite topics, since I used to do this for work. If you want, you can read a bunch of my blogs on marketing here. Now, let's take a look at this happy ending. You wrote your book, it's edited, formatted, properly designed, its cover is awesome, you have priced it correctly and published it on every possible site. Now what? How do you keep the fire going? Because, guess what, after the initial surge of interest, it will subside. People will forget about you and move on. Now, stop for a second. Go back and reread that sentence. Let's do this together. People will forget about you and move on. Aha! Do you see what I'm getting at? Yes? No? Here is what I'm getting at. Please, forget about blasting a link to your book day in and day out on Twitter, on Facebook, and other sites. I have even written a blog post for writers on what NOT to do on Twitter. The deal is, just like the characters in your book, you have to be human. Your first readers will buy your books not because your books are amazing, but because they know you and want to support you. So why on earth would they want to support someone who hides behind automated messages? You got it. It won't happen. In this light your marketing goals are vey simple. Let people know who you are a writer and forget about marketing your book. Let them do it for you. (If you follow me on Twitter, you will see that I mostly retweet people talking about my books). You heard me. Instead of marketing, write a new book, and another one, and another one. Only don't forget to show up every day and share with people your writerly successes and failures, and people will buy your books and follow you into the darkest forests and across snowy mountains. In one word, GIVE, and people will give back, tenfold. Takeaway: be human. That's all there is to it. Wow, did we end up going through 9 circles of Hell and come out in human shape on the other side? I'm impressed. I think I might write a separate blog post on self-publishing via CreateSpace, if there is enough demand. Until then, feel free to pepper me with questions! Printing on your printer at home. I haven't done this because at the time I wanted to print my draft I was out of ink and my printer usually likes to 'eat pages'. So I did a rough calculation and it looks like it would take about $20 worth of ink for a 500 page Draft (about 110K words) + about $15 for a binder + a few dollars for paper + your time to sit and wait for it to print and then suffer through half an hour of hole punching and making sure it's all aligned. Or, as some of my friends suggested, if you have a friend working at some big company that doesn't care if an employee sneaks in and uses their paper and ink, great. Do that. I simply didn't have this option, plus the idea of carrying a huge binder with me didn't make me happy. FAST? YES. Immediate, minus the time it takes to print and punch holes and buy a binder. CHEAP? SORT OF. About $35 per copy. GOOD? NOPE. It will look like a huge college project and will threaten to fall apart and unclip as you open and close it (drove me nuts). Printing at Kinkos (FedEx now). 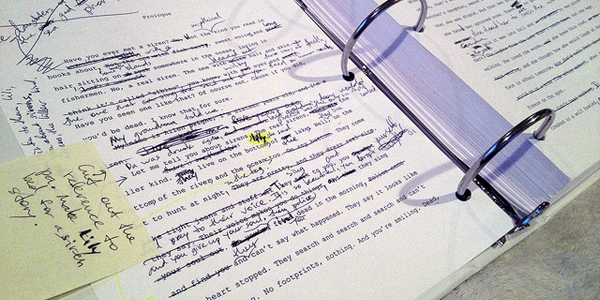 When I wrote my 1st draft, I took Stephen King's advice from his book On Writing and printed out the whole thing to read and make revisions for Draft 2 by hand. It was an only copy that I printed, so naturally, unaware of the amount of money it would cost me, I thought I'd print at Kinkos. I was quickly breezed through their online printing options and didn't realize until I picked up the draft that I could've selected a cheaper paper and it wouldn't have been as expensive. Still, it took me a trip downtown to pick it up, AND I had to wait for the special window between certain hours they allocated me. FAST? YES. But not as fast as at home, several hours longer. But no need to punch holes yourself! CHEAP? NOPE. It cost me $70 for 1 copy together with the binder. If I would've selected recycled paper, it would've been $50. Still, a lot. GOOD? NOPE. Same problem as with printing at home, a huge crocodile of a Draft to lug around or give to Beta Readers. Printing through Lulu. I've looked at a bunch of other options before settling on Lulu simply because they had to simplest interface and nicely designed web pages to guide me through the printing process easily and quickly. What I didn't like was two things. Number one, to print my draft at 6x9 inches (typical paperback size) I had to somehow format my PDF. I have no clue how to do that, nor do I have time to learn, nor do I think I have the software to do it. I simply exported my Word doc into a PDF and voila - that was it. Lulu told me it will take them 3-5 business days to ship printed copies after printing. They didn't tell me, however, how long it will take to print. I picked the simplest design they offered (which was none at all, as you can see), but I didn't care. I needed the copies, fast, and I was willing to pay. Also, I didn't need to select an ISBN for this. FAST? NOPE. I ordered 4 copies on December 8th, they arrived today, on December 12th. It took them only 4 days! I was prepared to wait for a week. CHEAP? YES. Each copy ran me at $19 and it looks good, bound like a normal paperback, except 9x11 inches big because I didn't know how to format the PDF to 6x9 inches. Plus, I paid $23 for shipping. GOOD. YES! It looks book quality, except too large. Printing via CreateSpace (on Amazon). Same day, on December 8th, I ordered a couple copies of my draft through CreateSpace. Why? Because a few writers on my Twitter and G+ claimed it's the cheapest and the best. They were right. Each copy cost me $7 - at book quality and several design options and automatic formatting of my PDF to 6x9 size! The reason I only ordered 2 copies was that while creating a copy, it said it will take several weeks for it to ship. After printing. I thought, BUMMER. But... *drumroll* it arrived today, only one hour after the Lulu copies arrived! WOW! This is now my choice option. Before you do it, though, be aware that Amazon will ask you for your Tax ID and for an ISBN. I selected a free ISBN option because this was only for a draft. FAST? NOPE. Same as with Lulu, it took 4 days. Though not several weeks like they said. CHEAP? YES, YES, YES! Each copy cost me only $7 and it looks like a real book. Amazing. Though I paid $18 for shipping. That makes it at $16 per copy. Still, not very expensive at all. GOOD? ABSOLUTELY PERFECT. Like I already said, this looks like a real printed book, bound and everything. I even autographed one today for my boyfriend who is my fan number 1 (he asked me to, so no, I don't have an inflated ego...yet). That's my rundown. I'm sure there are more options. I recommend you do it through CreateSpace. It might take you a while to tinker with their interface, but it's worth it. I picked simple colors because I wanted to be done with it, fast. You can be more creative than that. Have you had any other printing experiences or know of cheaper better ways to print? Let me know, I'd love to hear. Hopefully this post will save you time and money and my anguish over going through printing hell (took me several days to figure this out) didn't go to waste.